Robert C. Lieberman, a distinguished political scientist and accomplished academic administrator at Columbia University, has been named the 14thprovost and senior vice president for academic affairs at The Johns Hopkins University. Lieberman, now interim dean of Columbia’s School of International and Public Affairs and professor of political science and public affairs, was appointed by the executive committee of the university’s board of trustees on the recommendation of President Ronald J. Daniels. “Rob brings a scholarly record and leadership experience, clearly marked with the ‘excellence gene,’ that will make him a wonderful partner for me and the university’s senior leadership team as we work to advance our mission,” Daniels said. 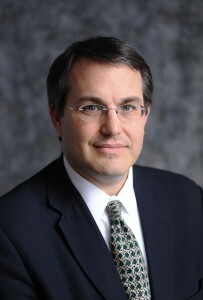 As provost, Lieberman will be the university’s chief academic officer. He will be responsible for working with the deans of Johns Hopkins’ nine academic divisions and will have oversight for research at a university that for decades has received more federal research and development dollars than any other. Lieberman will join Johns Hopkins on July 1. Lieberman has been a faculty member at Columbia since 1994, becoming a department chair in 2007, vice dean for academic affairs in 2009 and interim dean of SIPA more than a year ago. Daniels praised Lieberman’s track record as a creative academic leader, recruiting faculty members, formulating and executing a strategic plan, developing promotion and tenure policies, instituting curricular reform and enhancing faculty diversity. He also said that Lieberman’s experience leading an interdisciplinary school at Columbia would also be important at Johns Hopkins, which is broadly committed to collaboration across disciplinary and organizational boundaries. Lieberman is a well-known scholar on issues of race and politics in America, social welfare policy and the welfare state. A 1986 graduate of Yale University, he received his doctorate in political science from Harvard University in 1994. His first book, Shifting the Color Line: Race and the American Welfare State, won prizes including the 1999 Lionel Trilling Book Award for the best book by a Columbia faculty member. He has since published Shaping Race Policy: The United States in Comparative Perspective, and co-edited a Johns Hopkins University Press title, Democratization in America: A Comparative-Historical Analysis. Two more books are forthcoming. He has received awards including fellowships from the Russell Sage Foundation, the German Marshall Fund and the American Philosophical Society. Lieberman will succeed Lloyd B. Minor, who left Johns Hopkins in the summer of 2012 to become dean of medicine at Stanford University. Jonathan A. Bagger, a vice provost and Krieger-Eisenhower Professor of Physics and Astronomy, has been serving in an interim capacity.